South Korea is suspending the trilateral logistics project with North Korea and Russia to "punish the North for its nuclear and missile tests". In response to North Korea launching a satellite into space, South Korea decided to suspend a trilateral project with North Korea and Russia, which would have linked the three countries via rail and sea. Under the project, coal and bottled water would have been exported to South Korea through North Korea's port city of Rajin and Russia's border city of Khasan. According to the Yonhap, the decision was aimed at “punishing the North for its nuclear and missile tests.” The cancelation of the project should help curtail funding for Pyongyang’s nuclear program, as the logistics project was seen by Seoul as a source of money for the North. In July 2015, the former head of the Russian Railways Vladimir Yakunin told reporters that the railway was functioning after a long period of uncertainty, delivering coal from Khasan via railway to Rajin port and then via sea to South Korea. The idea of a Trans-Korean railway crossing that is linked to the Trans-Siberian was first mooted in the late 19th century, but plans were suspended after the 1905 Russia-Japan War. The Korean War and the division of the country ensured that the plans were not revived. The countries mooted the idea once again in the 2000s when the North Korean regime was looking for a thaw in ties with South Korea. 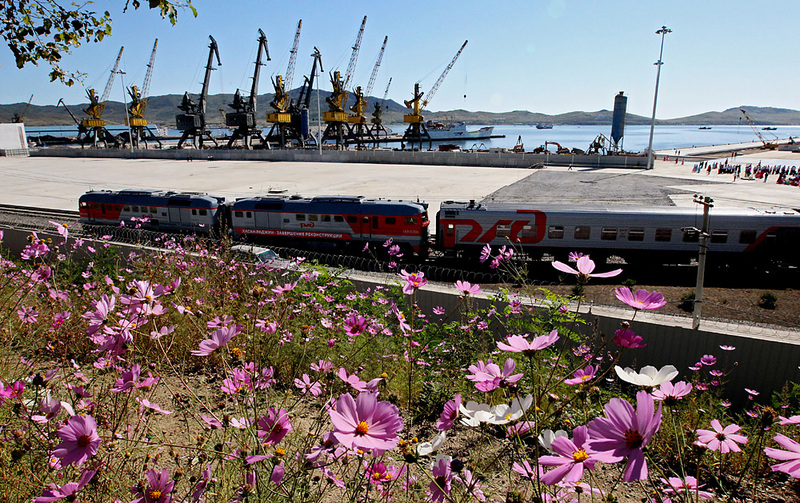 In 2006, Russia and the Koreas decided to reconstruct the Rajin-Khasan part of the Trans-Korean railway and to link it to the Trans-Siberian. The political project was only partially realized and gave no substantial profits.